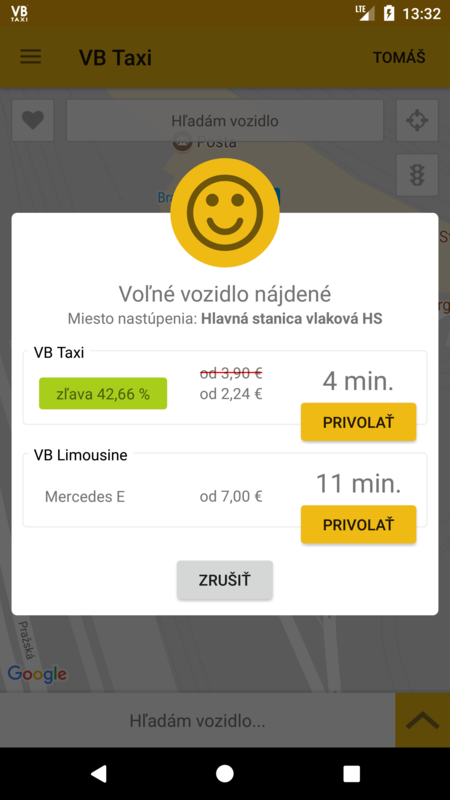 Drive with VB Taxi starting from 1,95 €! Order your taxi through app and be undercharged up to 50 &percnt;. The more cars are available in your area, the higher the undercharge discount will be. It's easy, open the VB Taxi app and immediately see current available undercharge. All discounts are valid only when paying by credit card or prepaid credit.